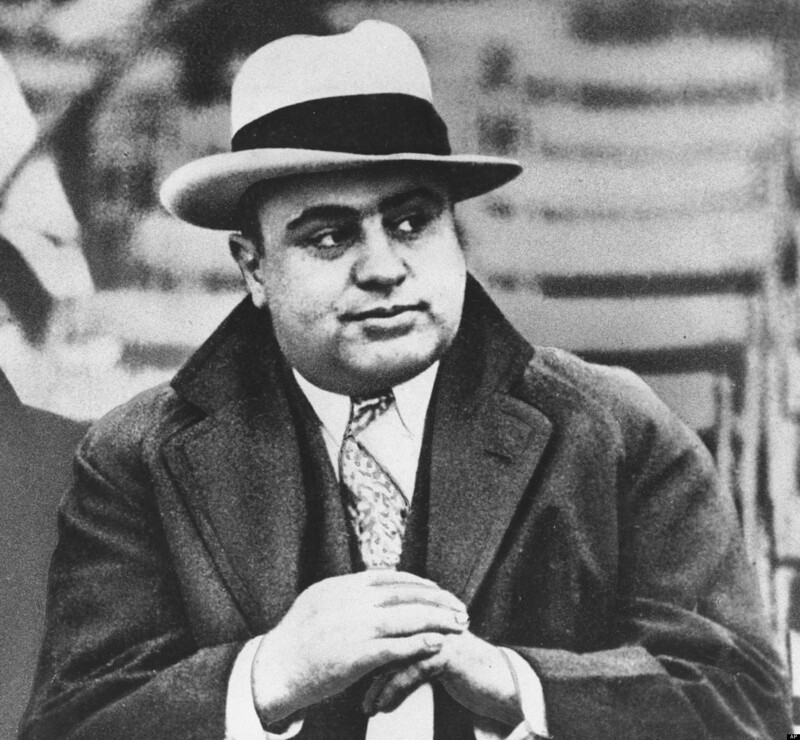 Born to Italian immigrant parents, Capone grew up in Brooklyn and, from youth, rose in New York’s criminal gangs. A razor fight in a saloon resulted in his nickname, “Scarface.” By the 1920s, Capone became organized crime boss of Chicago, which made him the most powerful and famous criminal in the United States. Despite crimes of corruption and violation of Prohibition, gambling, prostitution, and other laws—even despite gangland murders (most infamously the St. Valentine Day’s Massacre of February 14, 1929)—Capone evaded prosecution until he was finally convicted on charges of income tax evasion in 1931. He was imprisoned, but released in 1939 because of advanced syphilis.